New lab open at Rhodes College! Julienne, Will, and Rob take the show on the road again, this time to the Ecology meetings. Julienne was invited to give a talk on phylogenetic methods for inferring community structure leveraging data from the National Ecological Observatory Network. Rob riffed on these ideas as they relate to polyploid species, and Will introduced LeafMachine, his new machine learning software for autonomously extracting trait measurements from digitized herbarium specimens. Headed to the Botany meeting to present on the biodiversity consequences and considerations of polyploidy. 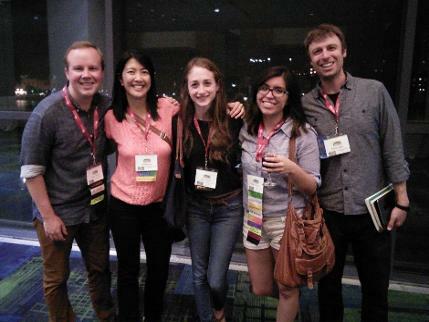 Many great interactions, catching up with old friends, making new friends, and plenty of great talks! Will presented a poster of research results examining the phylogenetic relationships among species in plant communities and the incidence (or susceptibility) to non-native species. Rob and Julienne attended the Evolution meeting in Portland. 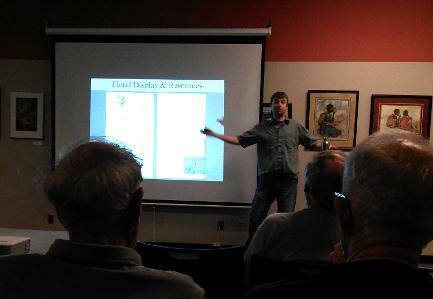 Rob presented research developments on pollinator visitation biases to diploid, tetraploid, and hexaploid L. tridentata. They also presented results of their joint community phylogenetics research. 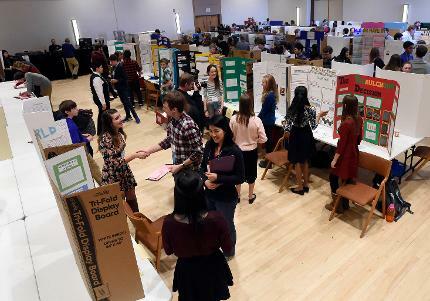 Rob and Julienne judged scientific contributions from budding young scientists at the Corden Pharma Regional Science Fair hosted at the University of Colorado-Boulder. It’s always a blast discussing their innovative experiments! Rob was invited to speak at the Tucson Chapter of the AZNPS about differences in pollinator visitation and pollen load composition on Larrea tridentata in areas where the different cytotypes occur sympatrically. This was shocking to some in attendance, who had some great ideas for future research paths, and they also started looking at that ubiquitous desert shrub in a new light. Rob participated in a museum outreach activity at the UC-Boulder Museum for young students and community members to showcase how humans are shaping the evolution of other species. This included discussing antibiotic resistance and domestication. Rob helped run a booth designed to illustrate natural selection for children and their families using colored candies, cloth "habitats," and vision bias glasses. The research group takes over Savannah! Rob, Julienne, Will, Vivianna, and Shelly all presented research on various projects including polyploidy and community structure, invasive species, pollination, and flower color evolution. Awesome to attend in force and present research on so many different fronts. Everyone received constructive feedback and was energized by seeing so many great talks. Julienne and Rob make the trek to Evolution to generate some interest in the community phylogenetics project using data from the National Ecological Observatory Network. Rob was invited to present research on pollinator visitation biases to the different ploidies of Larrea tridentata at the CoNPS Annual Meeting in Golden, CO. It was a great time answering questions about the possibility that such interactions may be very common! Research in two of the best-studied polyploid species suggest ploidy-specific pollinator visitation: Heuchera grossulariifolia and Chamerion angustifolium.